The two Barking, Essex routes below are both part of, or have been part of the official Barking Driving Centre test. They include some of Barking’s busiest roads and most challenging roundabouts. Get to know them well outside of your lessons and your driving instructor will soon be putting you forward for the official test. Take the first right onto Wilmington Gardens and take the third left onto Salisbury Avenue. Drive past Netherfield and Sherwood Gardens and take the third left onto Cecil Avenue. Take a third left onto Priory Road and at the end of the road take a right onto Salisbury Avenue. When you reach the Barking United Reformed Church, take a left onto Upney Road. Take the first right onto Beccles Drive and you will soon be approaching the Beccles Drive roundabout. Take the first exit onto Cavendish Gardens. At the Westrow Control Systems take a left onto Westrow Drive. At the junction turn left onto Longbridge Road until you get to the traffic light where you will take another right onto South Park Drive. Drive past the Abbey Barking School’s sports ground and continue over the mini roundabout to the end of the road. Turn left onto Green Lane and take the second exit at the mini roundabout onto Winston way. 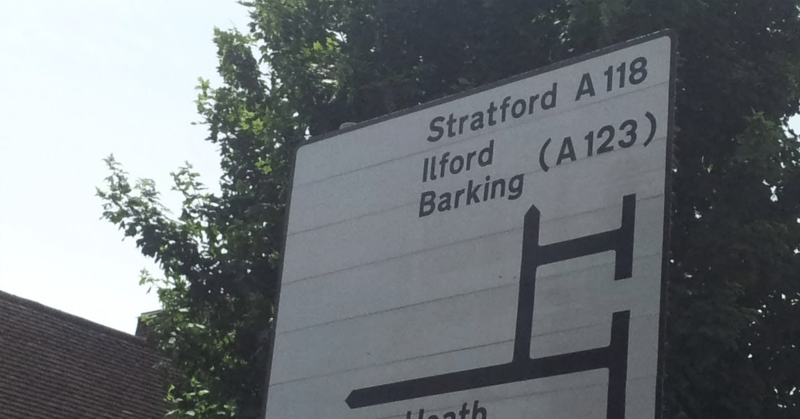 At the next roundabout, go straight on to Ilford Lane. After the Barking Central Mosque, Ilford Lane becomes Fanshawe Avenue. Just after the mosque take a left onto Tanner Street. Start on Monteagle Road near to the driving centre. Drive to the end of the road and take a right onto Fanshawe Avenue. Just after the mosque and where Fanshawe road turns into Ilford Lane take a left onto Victora Road and the first right onto Uphall road. Continue past Teen Challenge and take the second right onto Roman Road. Go to the end of the road and turn left onto Ilford Lane and take the first right onto Loxford Lane. Drive past Loxford Park and the allotments to the end of the road where you take a left onto South Park Drive. Just as you reach the park’s edge take a left onto South Park Terrace. At the end of the road turn right onto South Park Road. At the end of this road turn left onto Green Lane. Just as you reach the park’s edge take a left onto South Park Terrace. At the end of the road turn right onto South Park Road. At the end of this road turn left onto Green Lane. Take the second exit at the mini-roundabout onto Winston Way. Turn right at the roundabout onto Chapel Road and drive to the end of the road where you turn left onto Ilford Hill. Turn left on to the A13, drive past the fire station and just after the cash and carry turn left onto Gascoigne Road. At the roundabout take a left onto St. Paul’s Road and continue driving down where it eventually turns into Abbey Road. At the roundabout take the third exit onto Barking Relief Road. At the roundabout take the second exit onto Longbridge Road and then the second left onto Park Avenue. At the roundabout take a left onto St. Paul’s Road and continue driving down where it eventually turns into Abbey Road. At the roundabout take the third exit onto Barking Relief Road. At the roundabout take the second exit onto Longbridge Road and then the second left onto Park Avenue. At the roundabout take the third exit onto Barking Relief Road. At the roundabout take the second exit onto Longbridge Road and then the second left onto Park Avenue. There you have it, two driving lesson routes for you to explore in between your paid driving lessons!